If you are assigned to work on writing a narrative paper in college or high school, it is a good opportunity to train your skills in storytelling and show your knowledge and understanding of the subject. For many students, this kind of essays is much more exciting than other written work. You demonstrate a specific event or episode and its results from your point of view, as a story, which helps you and your readers be involved in the process more than usual. 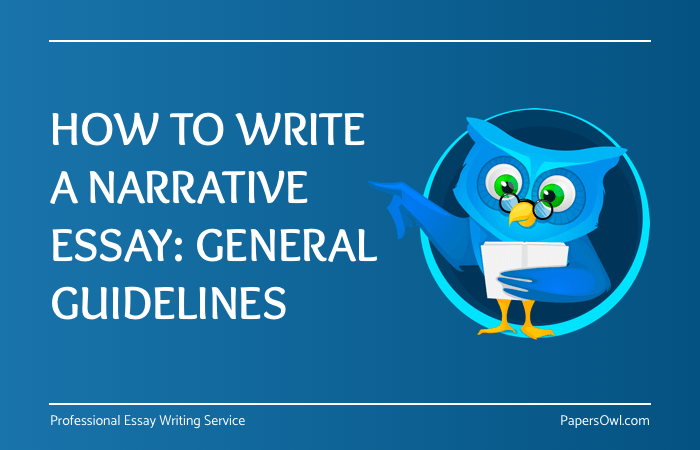 Before writing a narrative essay, you should look for a topic that can help you do your best, which is only possible if it is familiar to you and you can talk about it for hours with interest and passion. Why is it important? If you pick a topic that is not very exciting for you, it would be difficult to build a good narrative essay on it simply because you will have to force yourself to do it. A narrative essay definition may vary in different universities and schools. As a rule, it describes a text that is used to tell a story and that allows you share your personal experience in a more inspirational way than usual. Such papers get more attention from readers because everyone likes stories. This is the way for science to be heard and understood by everyone. That is why you should develop a good structure for your essay, write a compelling story, and use the common guidelines for writing essay to get the highest assessment. If you don’t know how to do it, you should buy a narrative essay or take a look at some samples of similar texts, search for inspiration wherever you can, and you should also know the specific requirements given by your instructor and keep them in mind while writing. Need help with writing a narrative essay? Consider the topic. You should be able to convert your experience into a story that matters to you. It would not be a good narrative essay if you are not involved in your writing and don’t want to share your experience with others. Start with the draft. It is not easy to write a good story from the beginning to the end without some planning and that is why you should create a draft and then polish it until you are sure that the result meets all the requirements. This method is used by many people, including famous writers. Storyline elements. Most stories contain elements as the description, plot, characters, setting, and other components that help each text attract the attention of readers and make them think about it. Make sure your narrative story contains all these elements and is written in accordance with all the universal rules of literature. The point of view. Readers and listeners should clearly understand your role in the story, which is why it is so important to let them know all the details of the described event, as well as the explanation of your behavior in a particular situation. Proving and supporting. You should not only show your opinion but also give arguments that support it – you can provide readers with any facts and references that show the fidelity of your thoughts and the results of your conclusions. Do not give details that don’t mean anything to your story. They make your essay too wordy and can confuse readers – to figure out whether specific details are needed, find out if they have a significant roles in the plot. Clear writing. Use simple words and appropriate language in the text. The clearer your readers understand what you are telling them, the better their feedback will be, and keep in mind that some things that are clear to you can be ambiguous to your readers so you should check your text before you hand it in. Describe events chronologically. As a rule, such papers are created in a proper chronological order in order to avoid confusion and allow everyone who reads it to follow the author’s thoughts easily and with interest. Read some narrative essay examples. The more you read them, the clearer your understanding how to create a well-developed plot; you can also watch video presentations in which other persons describe their experience as it helps to learn how to present your thoughts appropriately. Double check the provided requirements. When you get such an assignment, you should be provided with some guidelines and requirements or, if not, you can always request more details from your instructors. Revise your essay. Check it for grammar and plagiarism, rewrite sentences that don’t sound well, and don’t hesitate to ask for advice from your friends, there are also many services that can help you with revising and editing your narrative essay. Highlight the most crucial moments. Keep in mind that you will have to highlight the most significant arguments or facts to help your readers identify them and easily understand their role in the story, as well as their influence on the outcome. Narrative writing is similar to novels but they sometimes have specific rules for writing. These rules can vary depending on numerous aspects. However, in order to create an A-worthy paper, you have to follow the universal standards, use the right structure, watch out for plagiarism, and try to disclose the selected topic fully. Also, do not neglect to check your text for grammar mistakes! Even the best plot will not attract and engage the reader if the text is full of typos and other sorts of errors!